Create a memorable legacy for your league with this Monster Fantasy Hockey Trophy. A scowling hulk hockey monster with ripped clothes breaks the puck in two. 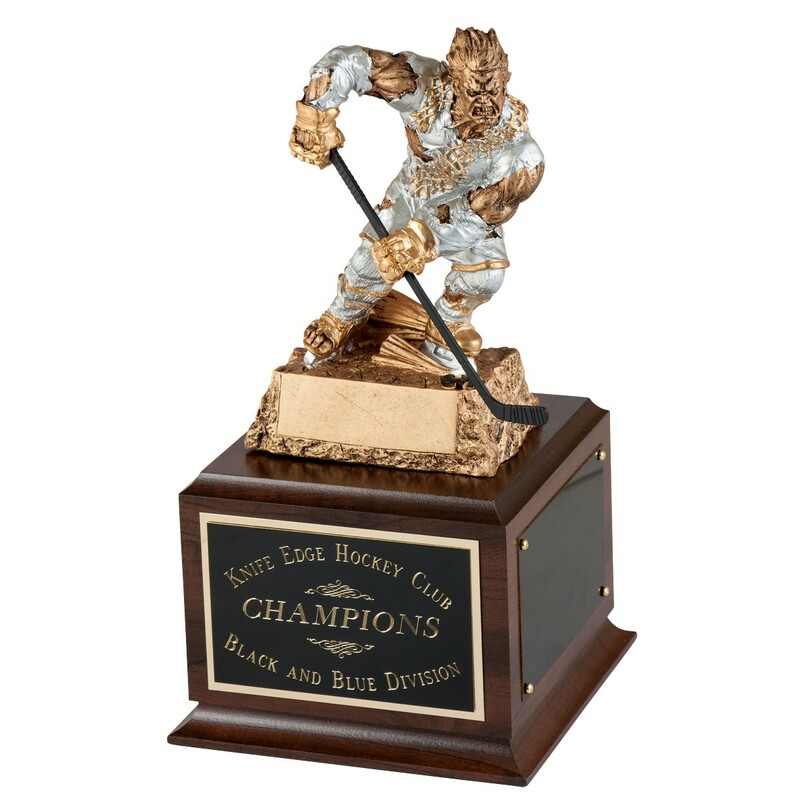 Put your fantasy hockey league name on the front of the simulated walnut base and add the optional 3 side brass plates for engraving each years winner (each side can fit 6-8 years). Overall height is10.5 inches.